Looks healthy on the surface. A new term for me last week, although I’ve dealt with the process I’ve not called it this before. The lake in the picture above, teeming with birds and fish, needs to be remediated. The 1.4m depth of sediment in the lake, and water below 1m in depth, is heavily contaminated with solvents and heavy metals. That’s why we were approached. Dredging for high yields of sediments isn’t a simple process, the in-experienced end up chasing the finer particles around in circles, or just missing them entirely and leaving contamination. A great place to start though is to stop the source of contamination (Of course you scream!). The video below shows the reportedly ‘clean’ inlet. Smell-o-vision reinforces suspicion about the black bubbling stream. 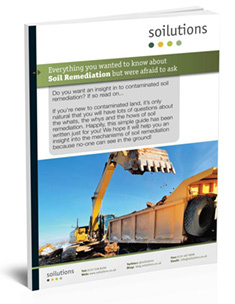 Cleaning sediments is difficult, the most viable method is to stabilise the sediments, either for re-use on site or for disposal. Click here for more information on environmental stabilisation / solidification.